Wal-Mart to a solitaire diamond from Tiffany’s that is Kimberley Process certified. While the items on the list are both practical and posh, they reflect the growing response to climate change. Consumers and retailers are discovering that the stylish new green products enhance your lifestyle as well as the environment. Grow-A-Note Greeting Card After the greeting; grow it. 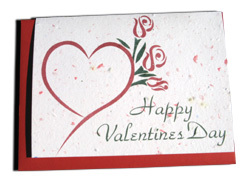 Plant and water this card, and the Valentine, imbedded with seeds, sprouts into a pot of wildflowers. $10.95 for a packet of three. 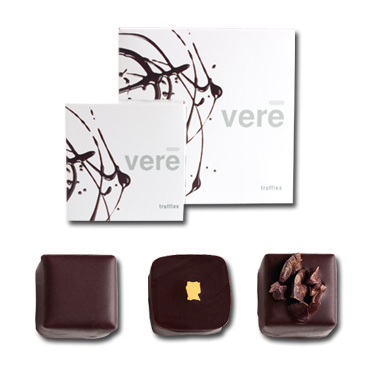 Vere Good Classic Truffle Box |Morsels of sustainable chocolate infused with fresh cream, coffee, tea and cognac, Vere’s creamy truffles are all natural and hand-cut without preservatives. The gluten-free concoctions provide a high concentration of antioxidant-rich cocoa solids and fiber. The fact that they may actually be good for you, is a yummy bonus. Naughty or nutritious, they’re simply delicious. 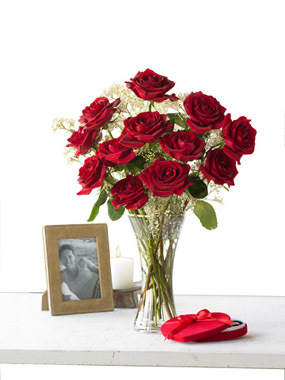 Deluxe Red Rose Bouquet | Not just the classic Valentine nosegay, these flowers are grown with premium organic farming methods which respect the earth and also enhance the vase life of the blossoms Twelve premium long stem roses, picked fresh daily are shipped direct from the farms of the nation’s first online organic florist. 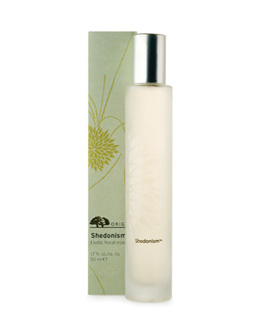 Shedonism or Fire Fighter Plus After Shave | The rare white Tiare flower, Tahiti’s “gardenia,” is the base note of this new fragrance blended with almond oil, coconut oil, shea butter, jasmine, lemongrass and among other natural ingredients. Be advised this is a blossom Tahitian women wear over their right ear if single, or over their left ear to indicate when their heart is taken. For men, Origins offers Fire Fighter Plus Beard taming after shave soother concocted of soothing red algae and scented with peppermint and eucalyptus.